Free access to public legal information for the general public and professionals promotes justice and the rule of law. Presenters at the 2015 “Law via the Internet” conference discussed projects using the power of technology combined with expert human input to make information accessible, and to extract new information from large document collections. Librarians are users of these resources, and may contribute to their creation. This article suggests that there is a Silicon Valley Consensus on a number of issues. It begins by outlining the history of Silicon Valley, the nature of its current ecosystem and the potential for that ecosystem to create an echo chamber. The specific example of automation is then described, both in terms of what automation is and the Silicon Valley response to it. The article ends with recommendations to information professionals for dealing with automation specifically and the Silicon Valley Consensus in general. The internet has a wealth of material for those who enjoy listening to music, but what about people who want to learn how to play it? This article surveys some of the resources available online for those interested in playing, or composing, music. The result is a mixed bag of material: some extremely useful and effective, and others with flaws and limitations that make it much less valuable than it might be. The focus here is on Western musical culture and notation, but readers will also be aware that there is, of course, considerable online interest, support and material for non-Western approaches to music. Libraries exist in a digitally-oriented world with increasingly cyber-connected publics. While devising and maintaining a social media strategy takes education, time and resources, the consensus is that a social media presence remains a critical way for libraries to create and sustain meaningful relationships with their users. 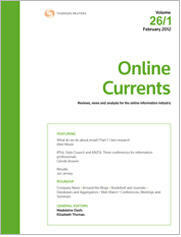 For the PDF version of the table of contents, click here: OLC Vol 30 No 2 Contents.